This Forum is full of People asking for this and that... In the spirit of balance Mr Sam has got 2 maps that I am willing to share with you lot. 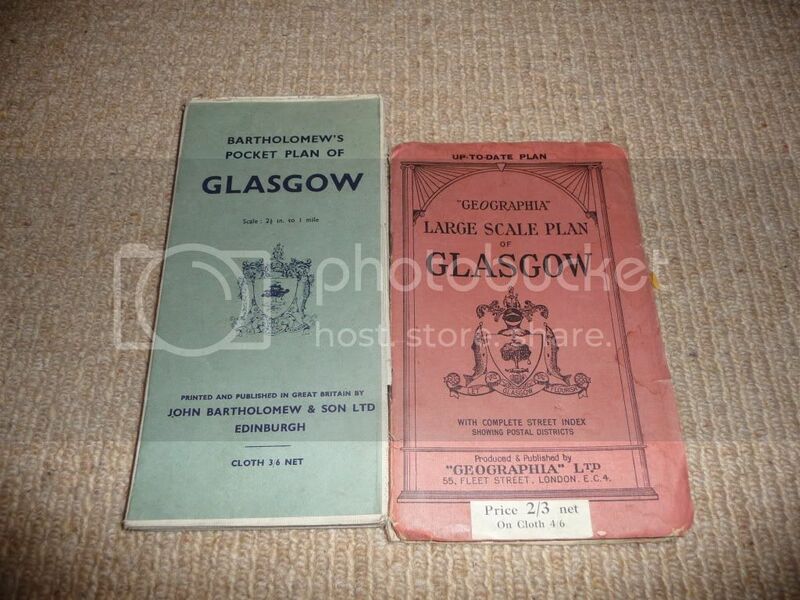 1) Geographia large scale plan of Glasgow 2) Bartholomews pocket plan of Glasgow. I Don't know about copyright but mods allowing I am happy to photograph bits for people. Either PM me or I can post up here. Not sure if you are aware of the old maps on the National Library of Scotland web site, but they have made some big improvements and they are a lot more user friendly. 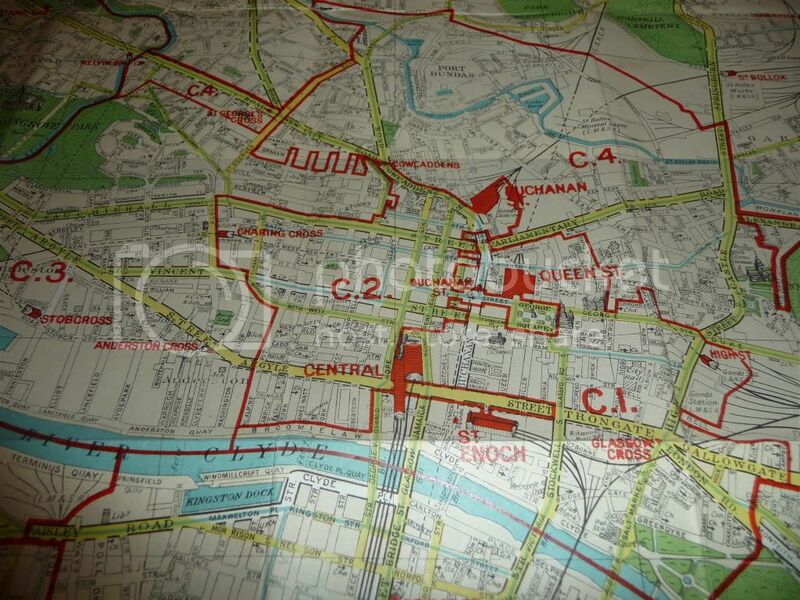 This is a link to all their Georeferenced maps (overlays on Google maps) for the whole of Scotland. Choose a map series from the left and zoom in to the area you want, click on the map (shown as a shaded box) and select a map from the left. 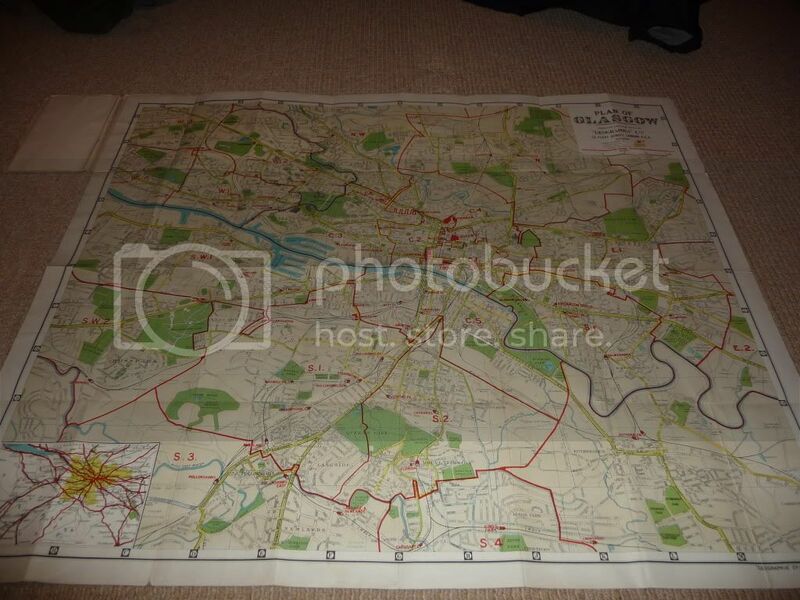 All you map lovers enjoy!! 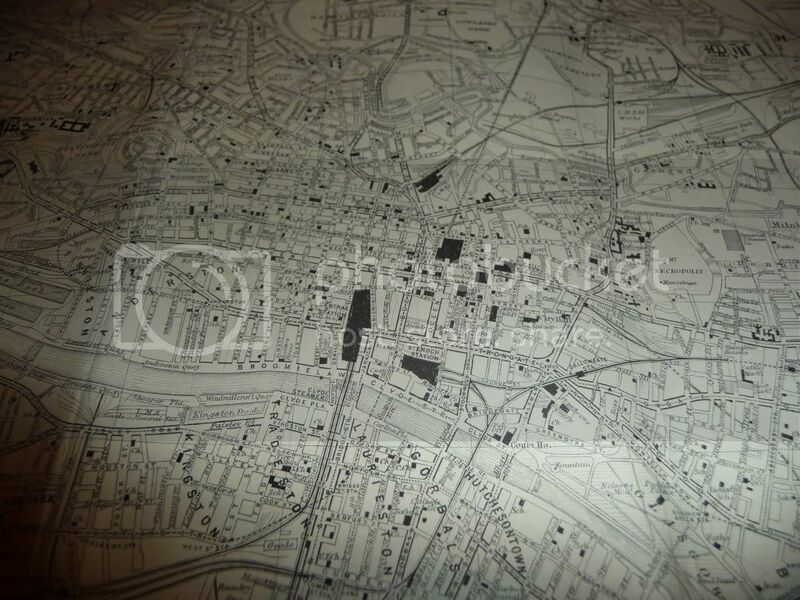 This an excellent zoomable and scrollable overlay of the Glasgow 1894on Google maps. Nice one Cell. The aerial photo mosaics are worth a look too. 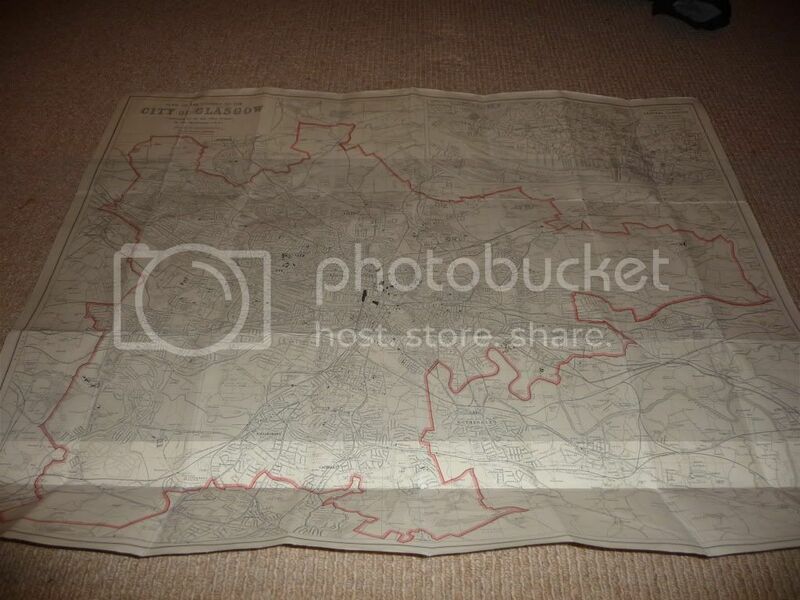 Can anyone tell me which Football Ground is shown on the map, just north of Dixon Road? Seems to be where Boyd St is now. GaelForce wrote: Can anyone tell me which Football Ground is shown on the map, just north of Dixon Road? Anyone? Or is the overlay maybe out of sync and its actually Cathkin? Looks too big to be amateur, grandstand and pavilion. The overlay looks fine to me. Cathkin Park, home of Third Lanark and then named Hampden Park is just to the south. That's Dixon Rd on the south of the park, Cathkin park is not on Dixon Road, its on Myrtle Park/Rd. You can see the running track around Cathkin in the bottom right of this pic, at the end of Myrtle Park, the stadium on the overlay is where the tenements are now around boyd st/allison st. Given its proximity to Cathcart Park Drill Ground, I have a suspicion it may be the original home of "3rd Lanarkshire Rifle Volunteers". I could be wrong. Brigitdoon, I misread your post when you were referring to New Cathkin as "then named Hampden". I thought you were referring to the current Hampden. When Queens Park vacated the then named Hampden (at Myrtle Prk), 3rds moved in and renamed it New Cathkin Park. 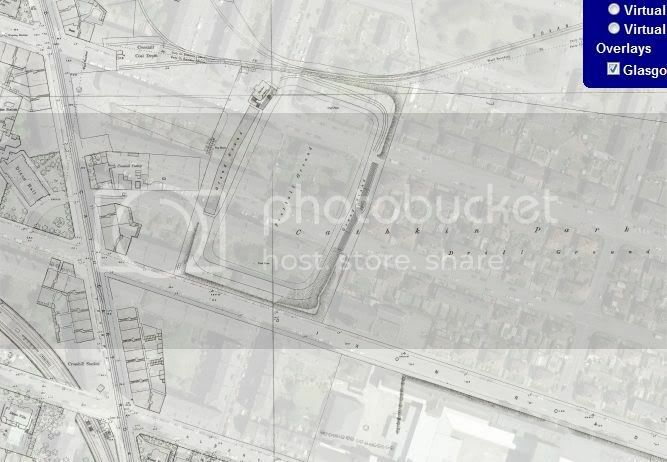 3rd's original Cathkin Park was apparently adjacent the Victoria Drill Hall which is on Coplaw Street, there is a ground shown very near the drill hall on the OS map, between Calder St, Langside Rd and Smith St (which looks to be Inglefield St?). Maybe this is the original Cathkin Park, but what is the one at Dixon Rd?? Here we go. Looks like the ground next to the Drill Hall was 3rd Lanarkshire Rifle Volunteers, and the one shown at Dixon Rd was Old Cathkin Park. According to the 3LRV site, they moved into Old Cathkin after 3rds moved out.